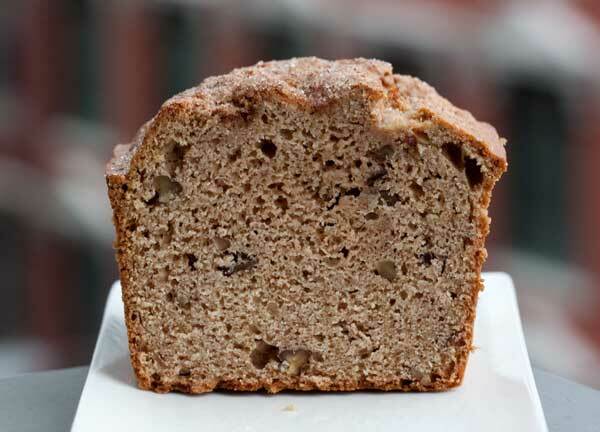 Our house smells amazing right now thanks to this Apple Spice Loaf. 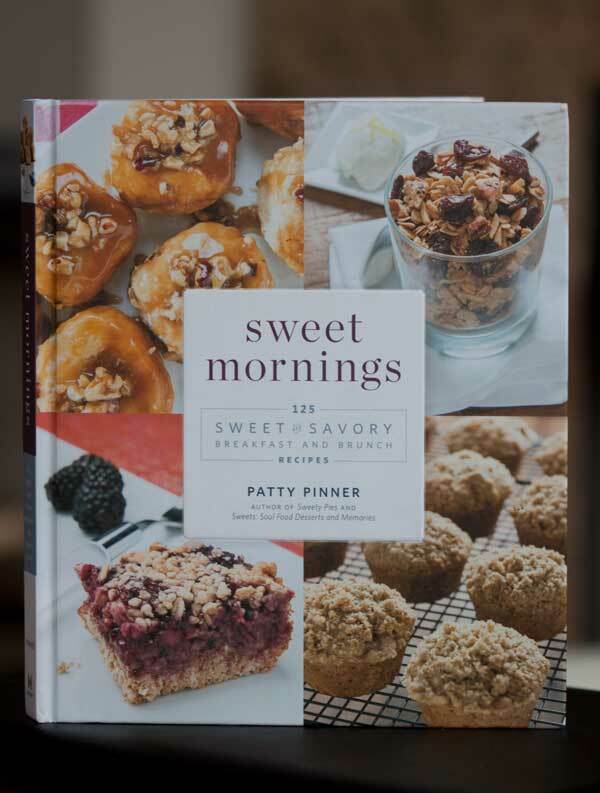 The recipe is from Patty Pinner’s book Sweet Mornings: 125 Sweet Breakfast and Brunch Recipes, and as the title implies, it is all about breakfast. Served up with a memory or two, Patty Pinner shares the recipes her aunts and grandmothers held close. Judging from the content of the book and what I’ve read about Patty, she comes from a long line of sweets lovers. Recipes are mostly sweet, but there are a few savory dishes thrown in as well. Titles that caught my eye include Stuffed Pecan Pie French Toast, Miss Earline’s Rhubarb Coffee Cake, Lemon Drizzle Coffee Cake, Big Mama’s Chicken and Waffles, Mama’s Rustic Pear Tart, Wilma Vickory’s Chocolate Streusel Coffee Cake, Pan-Fried Biscuit Doughnuts and Sweet Potato Scones. In total, there are 125 recipes in this book, and I can guarantee you will find multiple recipes appealing. This is not one of those books where a handful sound good and the rest are a little too “eclectic”. They’re solid recipes from someone who really knows how to bake. Now back to the apple bread. I was able to prepare it using things I already had around the house, and as I stated earlier it smelled wonderful. Realtors, take note! You could pop it in the oven for an open house. 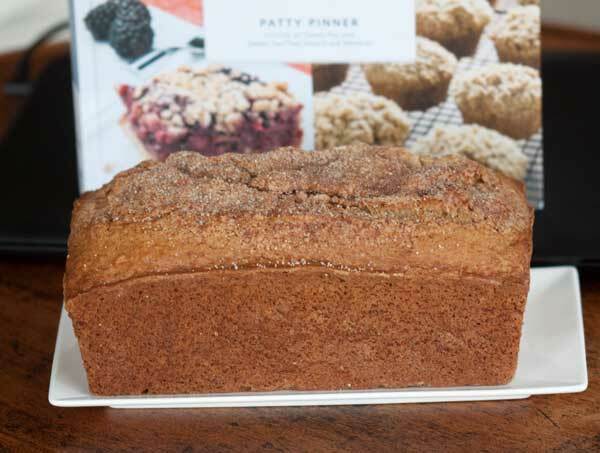 Patty Pinner’s Apple Spice Loaf had a beautiful shape and structure. It was not too sweet and sliced beautifully and tasted terrific at room temperature. I do think it would also be good toasted and served with a little pat of butter if you like to butter your quick bread, but it’s not a quick bread that needs it. If you try it, let me know! And order the book! I promise you will like it. My father’s father, Jack Pinner, was an entertaining, talkative man. He was the kind of man who had so many life stories that he could transition from one story to another without pausing. Grandpa Jack also used the freedom of speech that’s afforded to old people as justification for speaking his mind. Grandpa Jack, who was divorced from Daddy’s mother, Mary Lee, came to live with my parents for the last stretch of his life. By that time, he’d spent most of his savings on the things old men spend their money on—thick slabs of delicatessen cheese and bologna, fishing tackle and hunting gear, and younger women. Once, we were sitting down to a late breakfast, and Mama had baked one of her tasty applesauce loaves. Grandpa Jack turned to Daddy and said, in front of everybody, “Son, your wife might be a little on the uppity side, but she sure can make a tasty loaf.” Everybody got a chuckle out of it—even Mama, who chose to focus on the compliment rather than the snide remark. The way I remember it, Grandpa loved Mama’s Applesauce Spice Loaf better than any of her other sweet loaves. It has a comforting, old-fashioned, downhome flavor that no doubt reminded him of the treats that he’d grown up with. This loaf calls for simple pantry ingredients that you probably already have on hand. I love it when simple things come together to produce something delicious. Reprinted with permission from Sweet Mornings by Patty Pinner, Agate Midway, 2016. Kathy, you could use an extra tablespoon of applesauce and a tablespoon of water or maybe even just two tablespoons of water. It’s such a small amount it shouldn’t matter. How essential is the apple cider? I hate to buy a half-gallon just for this. That is a beautifully shaped quick bread.